DC is not the USA. Lil Kims Uncle was a piece of work. Kim Jong-un is ruthless and certainly unpredictable......UHM...NOT EXACTLT TRUE...SO MAYBE THAT IS THE NEW LIE OF THE YEAR CANIDATE. This means Lil Kim is ready to play ball and does not like not being listened too by those who are "close" too him i.e. the former sandbaging uncle...Lil Kim was angry. Lil Donged Un must be compensating for something. All I can say about this case is, GOOD RIDDANCE! If he was in my court in Fort Worth, he'd have got the same sentence unless he suffered from "affluenza", of course. Affluenza is everywhere but the media is taking notice. 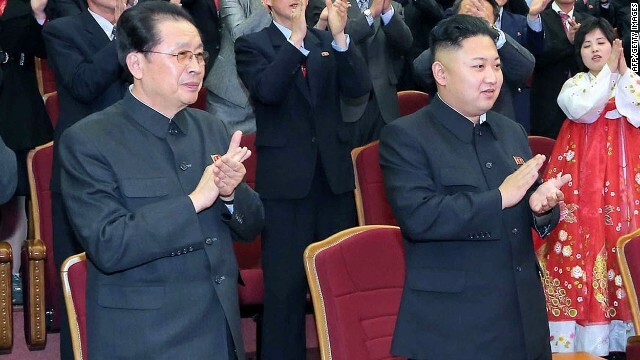 Jang Song Thaek apparently wasn't a favorite uncle and maybe made verbal threats. Regardless, Kim Jong-un is ruthless and certainly unpredictable.